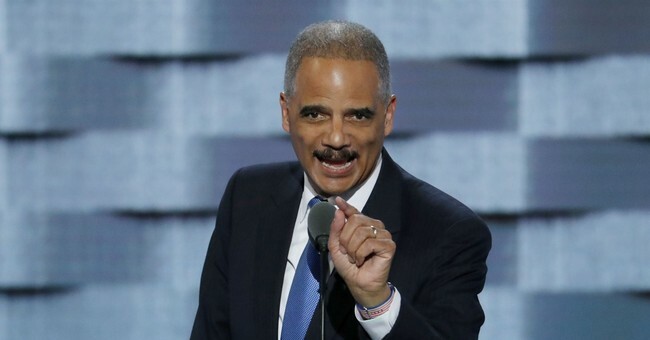 Former Attorney General Eric Holder, the first sitting cabinet member in American history to be voted in civil and criminal contempt of Congress, came under fire earlier this week for calling on leftist activists to "kick Republicans." "When they go low, we kick them," Holder said. "That's what this new Democrat Party is all about. We are proud as hell to be Democrats." After criticism erupted over the comments, Holder is attempting to walk them back as "obviously" not serious. Notice he isn't apologizing. But it wasn't just Republicans or conservatives who criticized Holder, former First Lady Michelle Obama also weighed in. Meanwhile, Democrats are still encouraging activists to engage in mob behavior against Republicans and conservatives at their homes, in restaurants and any other place where they are "found."